Beginning from underground escene in 1992 on their native city: Medellin, Colombia. 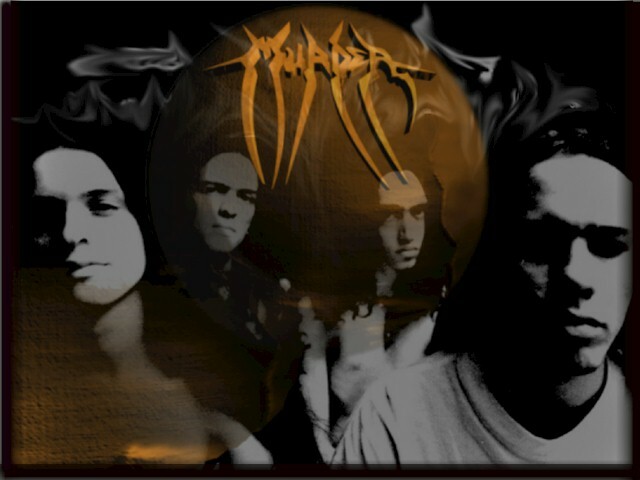 MURDER born, grow and stay as a premier metal act that everybody loves and hate. 2 releases at press time, a heavy fan base and tons of shows around the Americas and Europe let Murder like an act that nobody wants to lose. In 1992, they published a demo tape with 6 songs produced by themselves. In 1998, they have a deal with LIXO Sonido + Discos to produce A Short Story a CD recorded in Ensemble Midi-Track, under umbrella producer Jorge Montoya. An album with 8 songs that was then Mastered at Nu-Media Productions in Los Angeles, California. Opportunities grow with the album to take chance and perform on many gigs around the Colombia. So, thinking in the international arena the band goes to recording studio at eve 1999 to produce From Deep inside…11 songs with a new singer that define the band in a better lyrics way to express new sensations and ideas that band members want to say with this album. Therefore, this maturated sound keep aggressive with a new style found that combine the classic metal with Latin feel voices facing a new power metal. From Deep Inside produced in 2001 was promoted in Europe, USA and South America to receive nominations in important metal magazines as Shock, Death Grind Mag, Seven, Extremo and Compacto among anothers.